HUANG looks once more at the camera above the door with a brave dimpled smile. His wrists are fastened in cuffs attached to a chain around his waist. A black sack drops over his head exposing two holes where his eyes hide like dark pools in shadows. He stares at the camera focused on the front door as they push him out into the morning. Mai gets a good look before they drag him across the street to a waiting SUV. The cars’ engines throttling on as one by one they peel out and depart. “Are we stuck having to sit with these peasants?” comments Angelina to one side with a fake smile hovering over a red and white, St. John floral jacquard knit jacket, mirrored floral jacquard knit dress and Ferragamo pumps. Now there are four players, they choose sides and tip the ball. Capt. LI gets it and twists to nail a basket from the middle of the court. “You’ve been practicing,” shouts Maj. TANG. He misses his free throw. Ron takes the ball and lays up a point. Mai looks at Ron in the dim interior of the Park Avenue as they speed back to Chaoyang. Walking along the avenue next to the canal, families with baby strollers and toddlers are out enjoying the day. Pretty girls twirl sun parasols resting on their shoulders. A humongous bush of double yellow roses tumbles over the wall and reflects in the still water below. Turning up another street, they pass a park surrounding the President’s offices. Mai wonders if the man knows she’s back and if he cares any longer about obstructing her visa. Black birds pick at the grass under small trees of Davida involucrate blooming in the understory. Mai misses the campus and simple life she led, how long ago was it? Just last year? Before Rick’s arrival and the non-stop derailments of her happiness. Other than a man wearing leather pants and a sport jacket over a sweater vest sleeping in his diandong zixingche, electric bicycle truck, no one is around this gate to the PLA compound. The structure is faced with white and red glazed tiles. A broken sign attached to a column says Stop! To the left inside the gate is a building with a big red sign saying Service Center for Commercial-purpose cars. White delivery vans park in the shade of trees outside the gate, opposite the NAP entrance. Behind them is a rough soccer field and basketball court. A couple of soldiers in camo uniform finish hanging laundry to dry at the back of the field and walk toward the gate. At the back of the field rise barracks. Signs on walls say No Dumping. Milky dust covers everything. Behind the restaurant at the corner of the boulevard, two private security guards patrol in front of a sign: Parking for Luangong Barbeque. A cook walks out of the back of the restaurant with a basin and into a brick washroom. In the story, Escape from Here by Sha Li, reports of a corruption clean up in Lintong Base indicate serious errors of judgment and abuse of power rampant in the PLA. In May 25, 2012, PLA forces tracked foreign WMD to the great repository of history of the people, the Monument of the first Qin Emperor of China. On that day, Longtou BAO Kai Hao and Monument Superintendent were caught red-handed with 20 crates of guns and 1 crate of drugs, amounting to six tons. 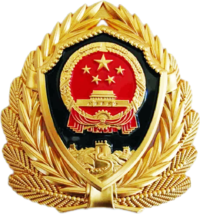 Last week, on May 27, 2012, fugitive FAN Changmi, Deputy Political Commissar of Lintong Base, and Angelina ZHU, Communist Party Secretary, were arrested with guns and drugs stolen from the Armaments Facility at Lintong Base. Fan Changmi is a former lieutenant-general of the People's Liberation Army of China. In December 2014, he was under investigation by the PLA's anti-corruption agency and has since been expelled. Rick has played this course, built around intersecting creeks, several times with the Warden and the Administrator. Today they have it to themselves. In front of the building that serves as a clubhouse, prison staffers set out carts for them. The Warden takes charge of Rick. FAN drives a cart for Zheng and straps their clubs to the back. YU and the Administrator each take a cart. They cross a small footbridge and stop near the markers at the first tee. The first hole is 346 yards, 316 meters, away. The Warden offers Rick his choice of clubs from his own bag strapped into the back of the cart. Ken Chu, golf executive, perfectly personifies this character. In the story, Escape from Here by Sha Li, when LIU Zheng opens his smartphone this morning and checks his email, LIANG’s memo burns like a laser into his brain. He pushes himself away from the table where he had been enjoying breakfast with the morning news. In a few steps he’s on the terrace where he stomps on the phone and kicks the pieces into the swimming pool. At the Capitol Airport, metrics in LIU Zheng’s fake passport don’t match his eye which instead matches an APB to apprehend the fleeing official. Security guards walk him into a secured area where they park him in an interrogation room. Liu Zheng, deputy head of the People's Liberation Army's General Logistics Department is under investigation for suspected legal violations. Dr. David Ludwig, head researcher on Synthetic Telepathy Program at University of California at Irvine. Ludwig fits a helmet on Rick and clips wires to both index fingers. A command code pops up on a monitor in Mai’s room: 3892Stand up. “Stand up, Mrs. Martin,” says Ludwig into the microphone while he monitors and assesses Mai’s binary display. He correlates the stimulation with the speed at which she responds, playing with the hyperbolic functions. In the privacy of the observation booth, Dr. Ludwig briefs Rick and Ron on the role of the nano implant in her ear where the cloud link is installed. The men continue to test her responses in a variety of scenarios corresponding to codes. The next command: 3882Sit down. It’s for her safety, for the safety of future operators, and it’s a fantastic beta test for Ludwig’s research. Pictured is Michael Rubinstein, who Sha Li thinks looks like the handsome research scientist. Following HUANG’s ping, Mai, Ron and Rick take the Beemer. She turns into an alley between a furniture factory showroom and a restaurant. It’s shady and pleasant where Ron directs her to park behind pollarded poplars lining the street. The NAP HQ is at a Police Academy, sandwiched between the factory showroom and the PLA compound. HUANG’s ping appears to be coming from within that gated area. Mai walks along the street, dressed in her PLA uniform and wearing a hidden camera. She approaches the NAP and PLA guard shacks, surveilling the area. A guard watches her from inside the NAP gatehouse. Socks hang on a clothesline. Shoes dry on a brick window ledge. By 4AM several SUVs are spotted by a nervous Gen. CUO looking out the front of his villa at the dark cul-de-sac he shares with four other villas similar to his. He calls HUANG sleeping next door. The phone rings, but HUANG ignores it repeatedly. Finally, he looks at the text from CUO: pik up idiot! HUANG edges to the window, looks down at the cul-de-sac and sees what CUO sees, five, dark National Armed Police SUVS. “We are betrayed,” says HUANG and disconnects. 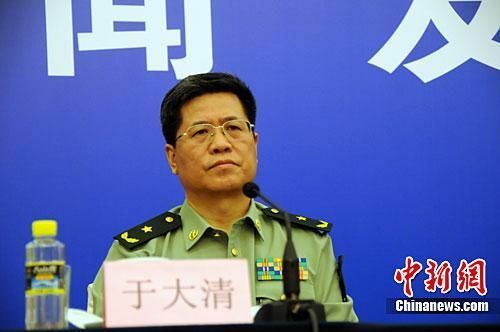 The Military Court Administrator, HAN Weiguo, reviews Martin’s case, reading the Lianyungang Administrator’s recommendation for a pardon as well as the arresting officer, Maj. Gen. HUANG. The name sticks in his throat. He checks the PLA database to confirm this is the son of the former Yunming CO HUANG Yong. A lot of baggage there, he thinks. In real life, Han Weiguo is a distinguished leader in the PLA and was recently appointed Lt. General, one of two lietenant generals named to commander or commisar positions in the reorganized Theater Command. That afternoon Duane Doolittle, Conklin’s FBI caseworker, flies to John Wayne Airport in Orange County, California, to meet with the lead scientist, Dr. David Ludwig. Dr. Ludwig enters the test room, adjusting a helmet covering a Vietnamese woman’s head, a paid test subject working for the university, and the miniscule connections in a bundled fiber cable before returning to the control room, separated by plate glass. 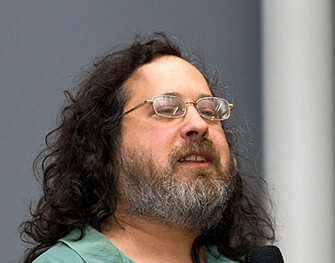 In real life the man pictured is Richard Stallman, an American computer scientist. In the gray light, people leave for work. Their cars turn onto the street masking the BMW. At the signal intersection Mai almost pees when a caravan of Police cars and tow trucks turn into the villa development. At last it is her turn to go. She follows Ron for several miles, not knowing or caring, just numb, just driving, not thinking, not thinking at all. When congestion demands more driving consciousness, Ron turns into the Airport Hotel valet parking to return the rental car. She pulls over to wait. In a few minutes, he walks toward her, pulling a luggage cart. “Do you want me to drive?” he asks. “I have a gun,” she says, opening the glove box and displaying HUANG’s QSZ pistol and the clip of ammo. “And Fuhui’s phone.” She removes its battery, too. Two National Armed Police SUVs motor past slowly and stop in the valet parking. While finishing dinner they hear the rumble of thunder. Walking to the car, rain pours down. They seek shelter in the building on the corner where the ground floor French bakery is packed. Same thing at the KFC on the other side. “Let’s go to the top. Haven’t you always wanted to see the nightclub up there?” asks Mai. It takes a few minutes for their eyes to adjust to the dim black light. It’s early, and there are few customers. A hostess rushes over and escorts them to a booth beside the empty dancefloor. DONG sits the next booth over, facing Ron ZHAO and thinks, What are the chances, of all the soju bars in Wudaokou, Ron ZHAO, the martial arts master I almost killed, would walk in and sit down in mine? With his American mistress! YU Daqing unzips his jacket and leaves it in his cart. His muscular, tanned arms contrast with his crisp, white tee-shirt. He pulls a panda headcover off his driver and grabs his range finder, bringing it up to his eye and focusing on the stream crossing the fairway below the green. Frowning down at his fluorescent orange ball, he swings and hits it into the rough near FAN’s. “He killed a man in Xi’an,” says HAN, taking his time setting up his shot. The Administrator swings, driving his ball past the trees and earning a thumb up from Rick. 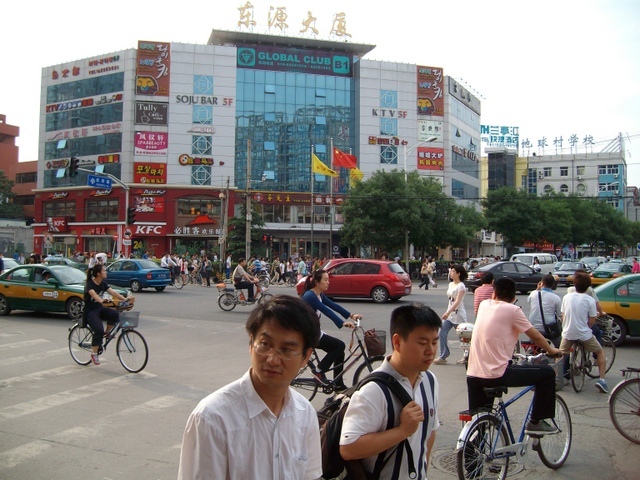 “The one that’s been on CCTV all month?” asks YU Daqing peevishly stepping out of his cart. “Whatever,” says YU over his shoulder, trudging to the right of the fairway to find his orange ball. “He plays good,” he mutters, the only one among them with a full head of black hair. In real life, Yu Daqing is a lieutenant general in the PLA and served as Political Commissar of the Second Artillery Corps. He was placed under investigation by the PLA anti-graft agency in December 2014. What if another character, Ron ZHAO, returns from the dead? What if the man who killed him was captured and sentenced to execution and organ harvesting? What if, by returning to the living, his own redemption, he redeems the life of his murderer? He sends a large bottle of his best soju to their table and a plate of fried squid with kimchee. HUANG and Mai are in Xi’an at their first public press conference for PLA. On a low stage at one end of a utilitarian conference room at the Lintong Base, a long table displays the drugs seized: 39,000 ecstasy pills, ½ kilo crystal meth, counterfeit cigarettes, pharmaceuticals and $4.5 million supernotes of US currency. On either side of that country, party and regiment flags fly. At the front a lectern and microphone front of rows of folding chairs. Today the chairs fill with reporters and their paraphernalia: cameras, microphones, lights, assistants, water bottles and power cords. CCTV gets a prominent position. Their anchor is a popular singer who transitioned into television broadcasting and is a major distributor of Mai’s previous campaigns. Mai and Pvt. LI issue badges and press packets to the invited press and check them off a list.